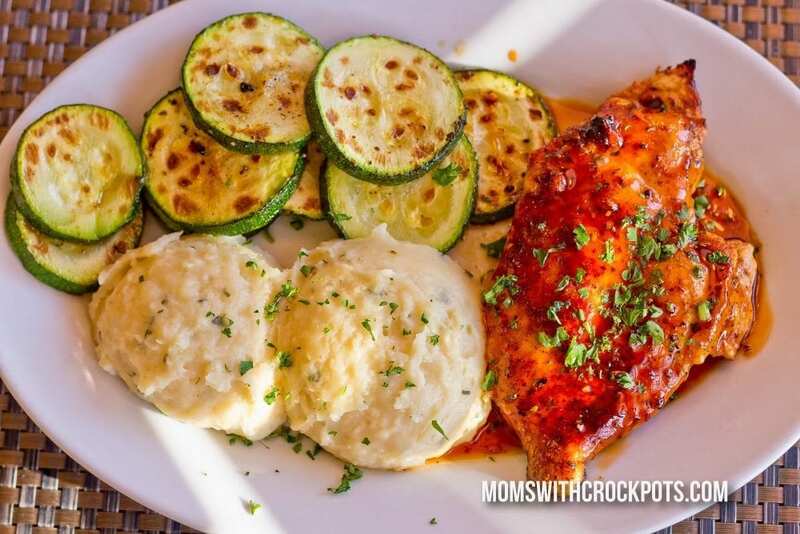 CrockPot Chicken Recipes are essential in any Mom’s kitchen. Having a bunch of different Chicken Recipes that the family loves….that is a bonus! 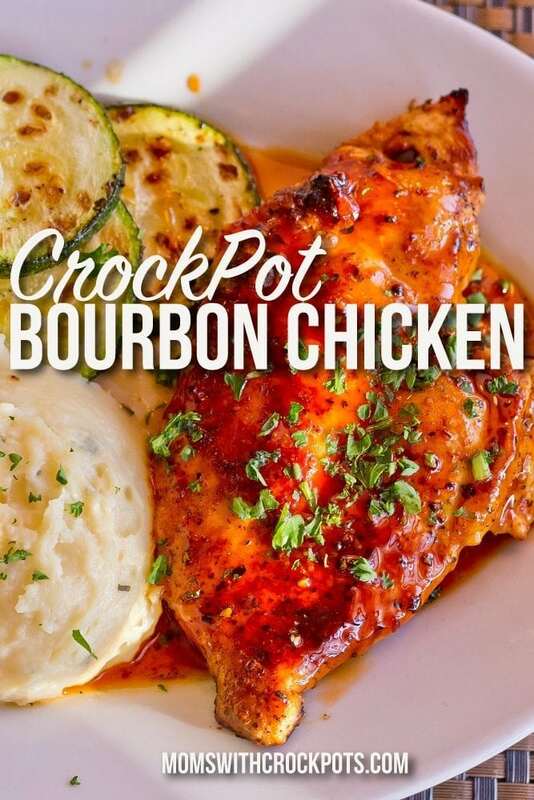 We have recently discovered this CrockPot Bourbon Chicken and it is definitely a winner. You can even make the marinade ahead, pour it on the chicken in a gallon freezer bag, label, and freeze, for those busy days when you don’t have anything planned. 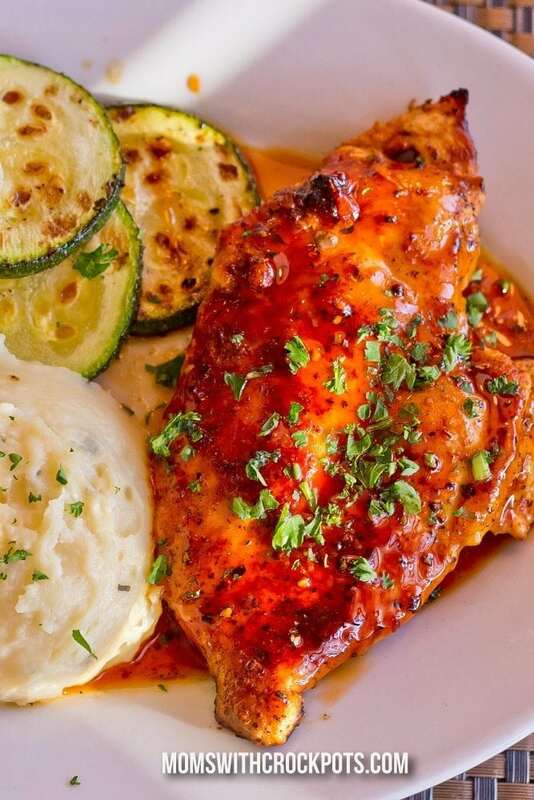 The marinade seeps into the chicken to make it even more full of flavor! Place chicken breasts in the bottom of slow cooker. In a medium sized mixing bowl, combine garlic, ginger, red pepper flakes, apple juice, brown sugar, ketchup, apple cider vinegar, water and soy sauce. Pour sauce on top of chicken. Replace lid and cook 6-8 hours on low. Remove chicken and shred or cut into chunks. If you prefer you can leave the breasts whole, which is what I did. In a small bowl, mix together 1/4 cup cornstarch with 1/4 cup of sauce from the crock pot. Whisk together and pour back into the crock pot to thicken the sauce. Thanks for the recipe! Simple and my family loves it!